Single-storey stone cottage near Llanrhystud, between Aberystwyth & Aberaeron. Property 1: Single-storey stone cottage near Llanrhystud, between Aberystwyth & Aberaeron. Property 2: Cottage in Pembrokeshire National Park . Close to beaches, coast paths, castles. Idyllic Detached Stone Cottage With Log Burner And Beams Set In Private Gardens. Property 6: Idyllic Detached Stone Cottage With Log Burner And Beams Set In Private Gardens. Characterful cottage in beautiful, quiet, rural location close to the coast. Property 11: Characterful cottage in beautiful, quiet, rural location close to the coast. Wilderness Retreat but close to the coast. Property 12: Wilderness Retreat but close to the coast. Property 14: Coedmor Barn, With Stunning Views. Property 22: Bryn Awel. Penmachno. Traditional cottage 4 miles from Betws y Coed. Beautiful cottage in the heart of mid-Wales, Peaceful, Private, Expansive views. Property 23: Beautiful cottage in the heart of mid-Wales, Peaceful, Private, Expansive views. Property 29: Beautiful Welsh stone cottage. Great walks. Great pub/food. Superfast broadband! 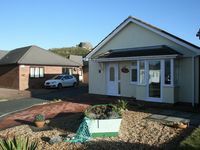 Trearddur Bay, Anglesey, Sea view, Sleeps 6. Property 39: Trearddur Bay, Anglesey, Sea view, Sleeps 6. Little Avalon, Laugharne. Centrally located in historic, coastal town. Property 43: Little Avalon, Laugharne. Centrally located in historic, coastal town. 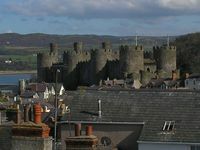 This is a great place to stay while in Conwy. Convenient to shops and pubs and of course the castle. Loved it! Overall we had a great stay here. We would recommend this place to anyone that would want to come to Wales. Make sure to read the provided documents on how to work some of the utilities. They were very helpful.